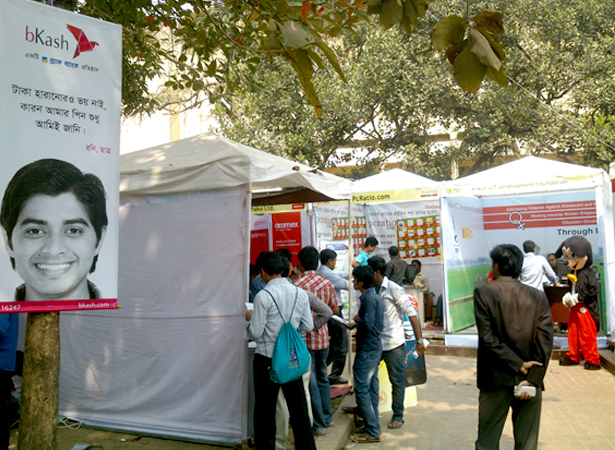 Computer Jagat, a pioneer and the most popular ICT magazine of the country has recently organized a 3-day long first ever “e-Banijyo Mela 2013” (e-Commerce Fair 2013) in Bangladesh with a slogan “Ghore boshe kena-bechar utsob”. 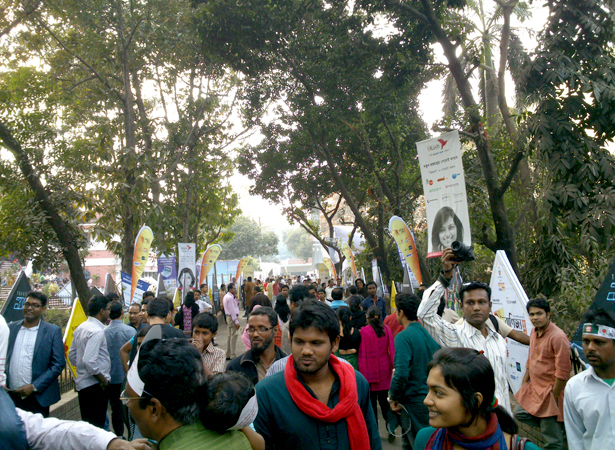 The event took place on 7-9 February 2013 in Sufia Kamal Public Library, Shahbagh, Dhaka. 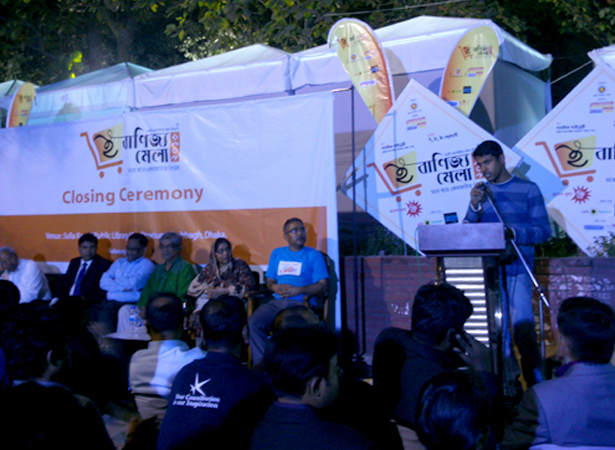 With the rising popularity of Internet in Bangladesh, e-Commerce will be the next big trend creating new opportunities for business and jobs in the country. 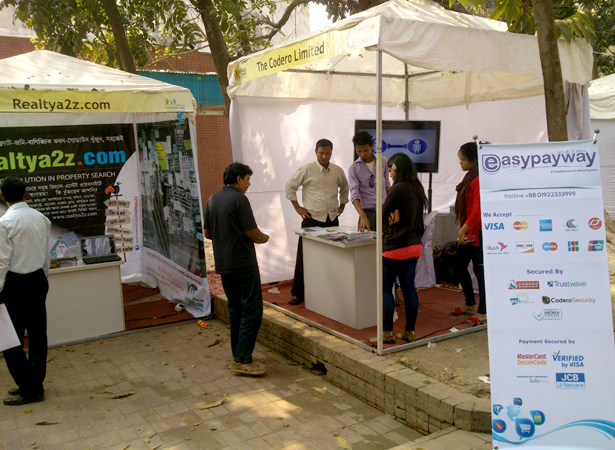 In order to further popularize e-Commerce and spread the message among people in our country Computer Jagat has taken this initiative. 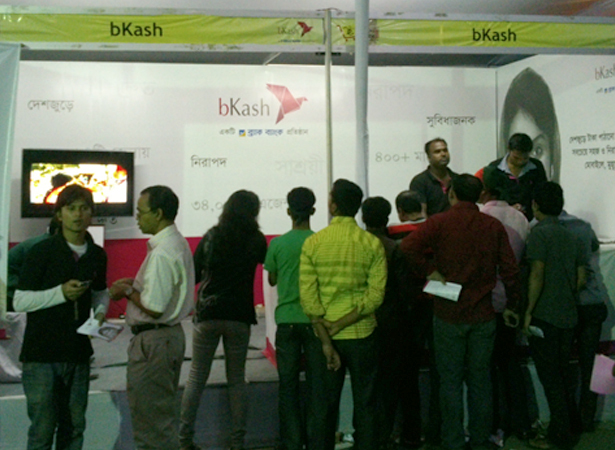 bKash participated in this event as Gold Sponsor, where we distributed leaflets explaining bKash and its range of services to visitors. 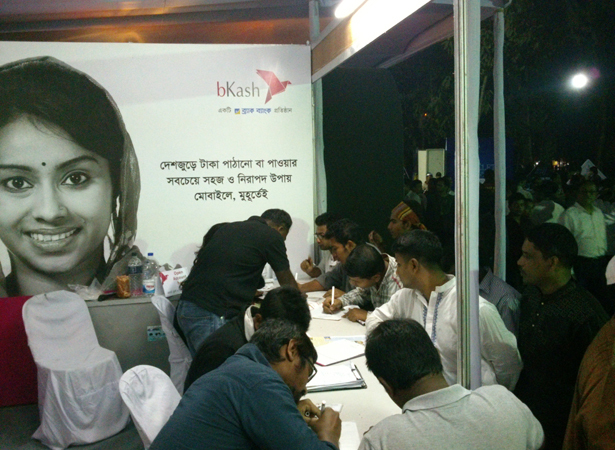 Visitors were able to open bKash accounts with their Robi, Grameenphone, Banglalink, and Airtel connections.